Want to create an image gallery with your Instagram images? If you are posting your photos to Instagram and then manually uploading them to WordPress, there is a much better way. In this article, we will show you how to save time by automatically importing your Instagram photos directly into your WordPress image galleries. WordPress’s default image gallery doesn’t offer the feature to import your images from Instagram. We received many requests from our users to add a feature to import Instagram photos to their websites’ image galleries. 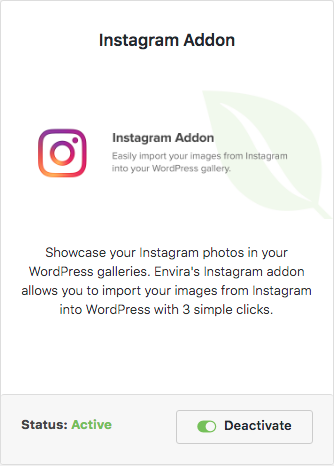 So, we added the Instagram Importer Addon to Envira Gallery. 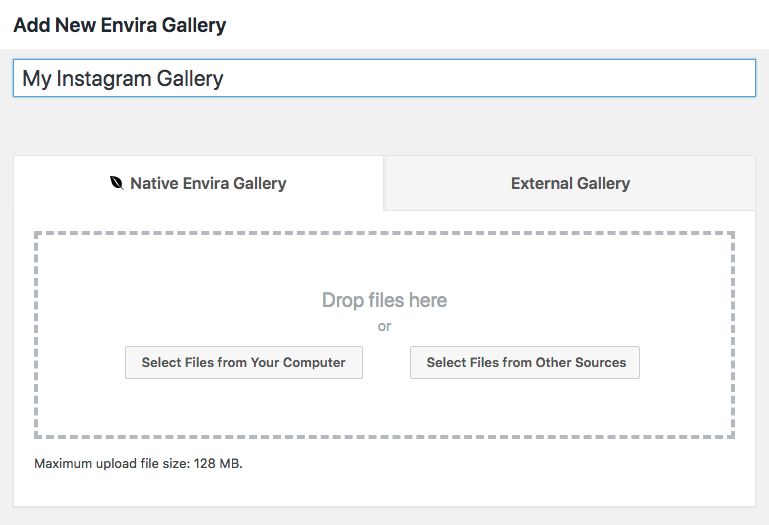 To import your Instagram images, the first thing you need to do is install and activate the Envira Gallery plugin. Upon activating the plugin, go to Envira Gallery » Add New to start creating your image gallery in WordPress. Type a name for your image gallery, and then hit the Publish button. Now that you have created an image gallery, you are now ready to import your Instagram photos. First, you’ll need Envira’s Instagram Addon for importing images from your Instagram account. Simply go to the Addons tab from Envira Gallery » Settings, and then install and activate the Instagram Addon. Next, go to the Instagram tab from Envira Gallery » Settings, and click on the Click Here to Authenticate Envira with Instagram button. It will ask you to login to your Instagram account (if you already logged in, then it will directly go to authorization). 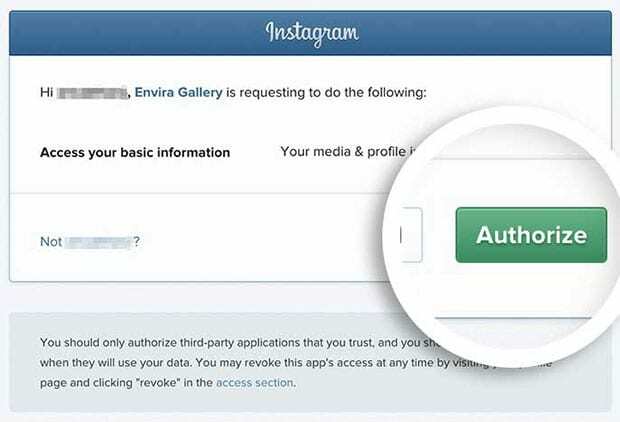 Hit the Authorize button to authenticate your Instagram account and integrate it with Envira Gallery. Next, go ahead to Envira Gallery, and edit your image gallery. Under External Gallery, make sure that the Instagram button is selected. You will see several different options, including Feed Type, Number of Instagram Photos, Image Resolution and more. Once you are satisfied with your settings, make sure to click on the Update button to save your changes. That’s it! Your Instagram gallery is all set up. 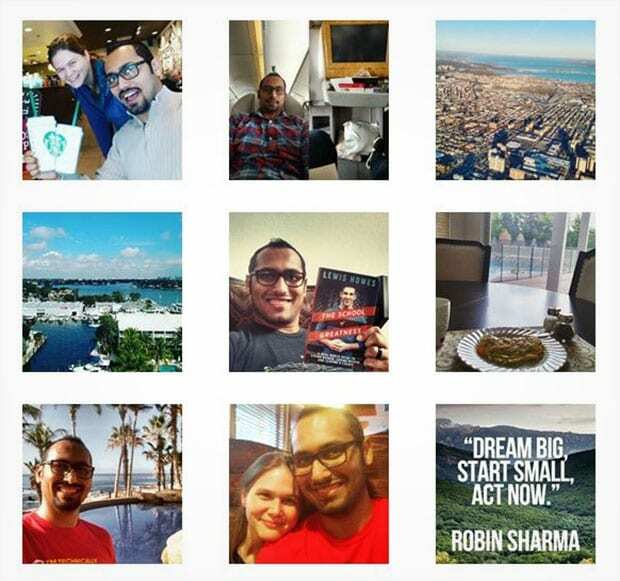 Click here to see the demo of how your Instagram photos will appear on your WordPress site. We hope this article has helped you to learn how to import Instagram photos in WordPress image galleries. You may also want to check out our guide on how to import your photos from Dropbox to WordPress gallery. How can I change the Instagram Account? You can change the Instagram Account that’s connected to Envira Gallery in the WordPress Admin > Settings > Instagram tab.